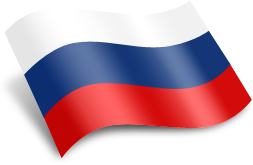 Learn Russian with native teachers and from home: we are experts in teaching Russian. Our lessons will allow you to learn Russian comfortably from your home. We offer you the best training, with native teachers and with exclusive learning materials. 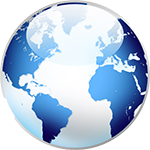 Experience: over 100,000 lessons taught to students from over 50 countries. From home: use your webcam to have a native Russian teacher by your side. Only Russian: we only teach Russian (we don't teach any other language). 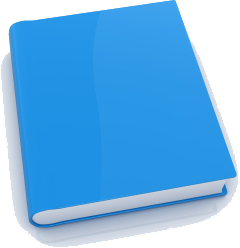 Before each lesson we'll send you the learning materials and audio files. you choose how often you want to have a lesson (once a week, twice a week, one lesson a day, ...). We recommend you to have one or two lessons a week. To fully enjoy our classes you only need to have Internet access, a webcam and a microphone. Also, you'll need to have Skype installed in your computer. 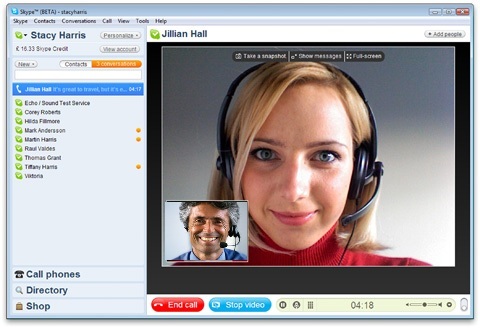 Skype is a free software that allows you to have free video calls. If you don't know it, we'll help you install it in your computer. "Anyone, anywhere in the world, can profit from our experience and learn Russian with us"
Other language schools spend over 90% of their time teaching other languages (Spanish, German, French,...). We spend 100% of our time teaching Russian. We are experts and you will notice if from the first lesson. 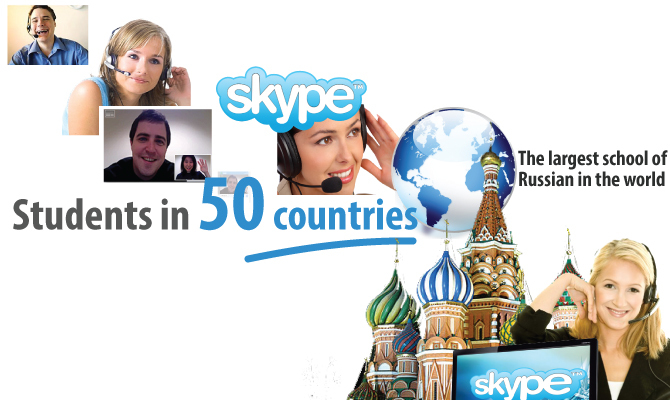 We have years of experience teaching Russian via Skype. During all this time we've taught thousands of lessons. We have students in over 90 countries enjoying our lessons. Join us and start learning Russian with us. We create our own learning materials (texts and audio files), specifically design to teach Russian language. Learning with us means having access to expert teachers and exclusive learning materials. Do you want to learn Russian from home? Do you want a native teacher? Do you want to learn with experts? We want you to see our classes for yourself. That's why we offer you the chance to have a 30-minute trial lesson for only 1 euro (regular lessons are 50 minutes long). This way, you can see if our lessons are what you are looking for. How long have you been learning Russian? 2. Can you conjugate Russian verbs? 2. You will go to a safe payment area where you can choose the payment method (Paypal or credit/debit card or bank transfer). AFind below the prices for our lessons. If you Buy blocks of 5, 10 or 20 lessons, you will have a special discount. Prices are written in euros, but you can pay with any currency. In my country we don't use euros, how do I pay? You don't need to have euros to pay. When you make a payment you use your local currency (that is, your local money) but we receive euros. The exchange is done automatically. You only have to follow the normal payment steps (clicking the button "Buy Now") and the system will do the rest. What exchange rate applies when I pay with my local currency? You can check the approximate exchange rate here. I don't speak English very well, can I still have Russian lessons? If you can read and understand this page, you can learn Russian with us. After all, you will be learning Russian, not English (remember that we also teach in Spanish). I don't have a webcam, can I still have lessons? Yes, you can, but we recommend you to have a webcam (you can buy one for as little as 5 euros). If you don't have a webcam, your teacher can't see you (but you can still see your teacher). In which countries do you teach? Our lessons are online. That means that you learn at home from anywhere in the world.